All new for 2015, the Reactor 7000 goal pant utilizes a well-established designed loved by many pros, designed to offer exceptional mobility and great protection at a more affordable price point. 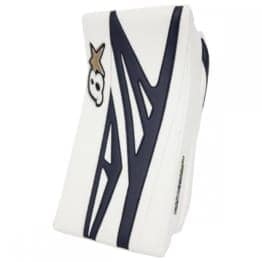 At the front of the pant, telescoping knee and thigh protection ensure there are no gaps in protection in any type of save sequence, giving the goalie maximum security to stand up to any level of shot. 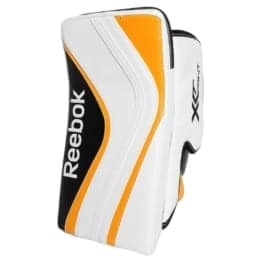 This design is complimented by molded plastic with multi-density foams throughout the thigh and knee to offer excellent protection. 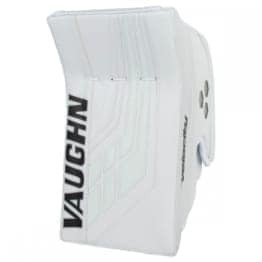 Additional front flex hip panels offer fluid movement throughout the thighs while bending the leg. Internally, the Reactor 7000 goal pant includes an optional adjustable belt, allowing the pant to be worn looser for maximum mobility and coverage, yet still staying secure on the hips, ensuring protection isn’t compromised. 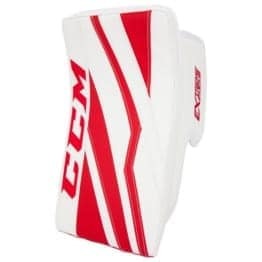 Bauer hasn’t held back in the technology department either. For the first time on a goal pant, synthetic reinforcement along the entire bottom edges of the thighs and knees in high wear areas to prevent premature wear and tearing of the nylon, helping achieve greater durability than ever before. 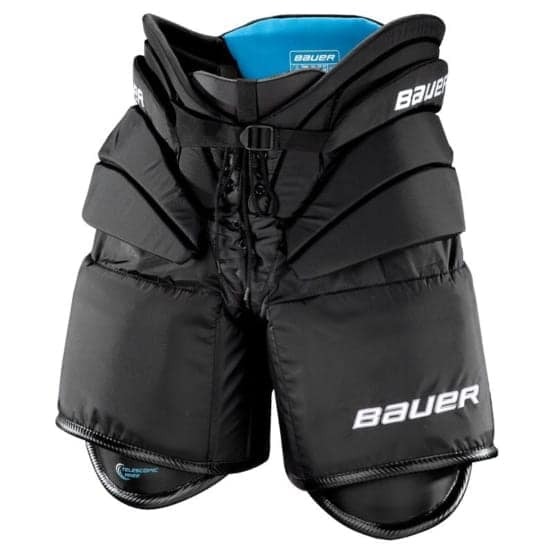 The new line of Reactor pants are designed with a wider taper at the top, ideal for goalies who prefer to tuck their chest protector into their pants.